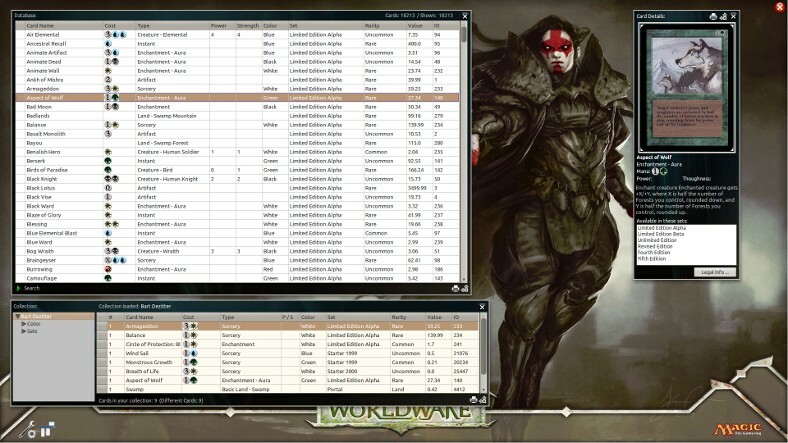 MagicKeeper is a database for Magic The Gathering Cards. 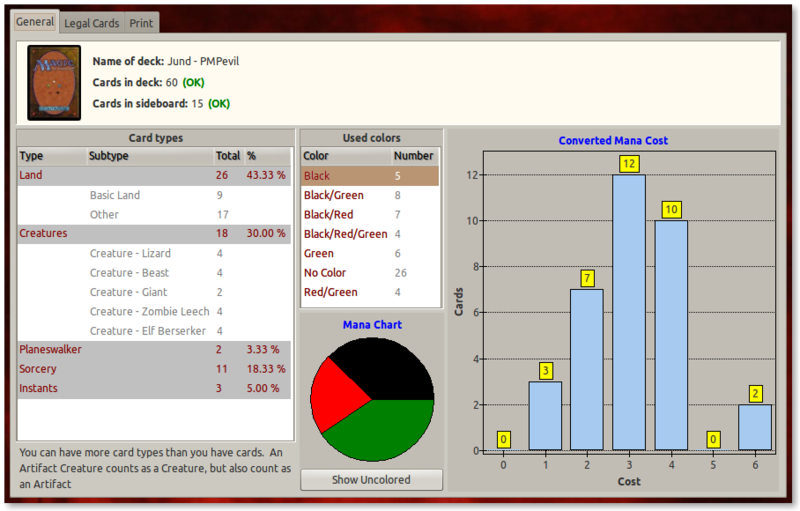 You can keep track of your own collection, make your own decks, or use one of the pre-defined decks. The work on this software is just started, and is done in freetime. Features will be added in time. Using MagicKeeper is completely free, however you can choose to support the software by a donation. Fields for Artist, Rating, Collector’s Number, For Trade are not yet used, but will be in one of the next updates. This is an ALPHA VERSION. NO SUPPORT is given. Zittergie’s MagicKeeper runs on Linux, Windows & MacOS X. Development is done in LINUX & MacOS, other platforms are not very well tested. The software is in alpha release, so do not expect too much. I am concentrating on stability & online updates for now. Creating and testing your deck is next. The following features for decks are planned: Test if your deck complies to the rules, Take a real life shuffle test. Order the Cards manually, random or let the program make a decision with your preferences. If you like the software, please click the AD on the bottom of the page to support me.